08:00 | Lima, Feb. 12. 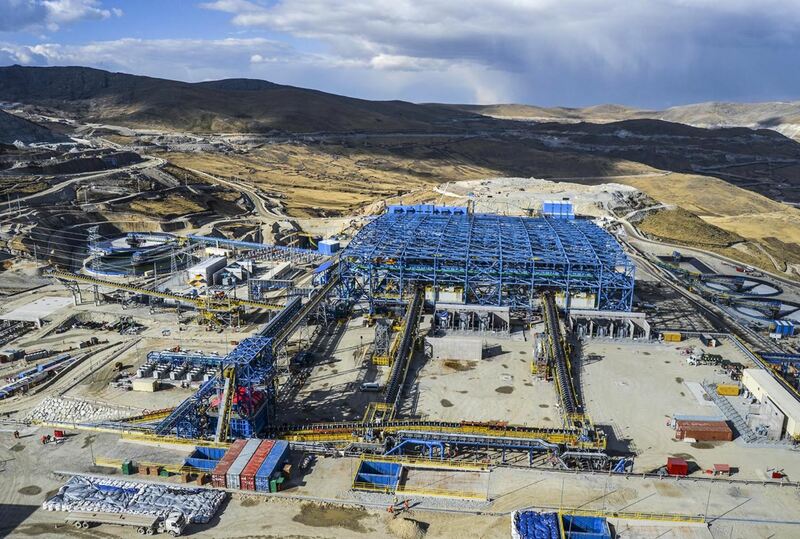 Mining sector contributions to Peruvian regions —including canon, legal and contractual mining royalties, as well as rights of validity and penalty— totaled S/4.843 billion (about US$1.456 billion) in 2018, Energy and Mines Ministry (MEM) has informed. "Mining continues to play an important role in the development of regions," it underlined. Likewise, MEM highlighted that —according to its latest Statistical Mining Bulletin— said figure represents a 47% increase compared to 2017 (S/3.302 billion or US$993 million). Between January and December 2018, mining activity generated over S/3.157 billion (US$949 billion) in canon. Likewise, mining contributed over S/1.474 billion (US$443 million) in royalties and more than S/214 million (US$64 million) in rights of validity and penalty. On the other hand, the bulletin indicates that Ancash region received the highest contributions in canon, legal and contractual mining royalties, as well as rights of validity and penalty: S/1.516 billion (US$456 million). Then comes Arequipa (S/853 million or US$256 million) and Cusco (around S/379 million or US$114 million).